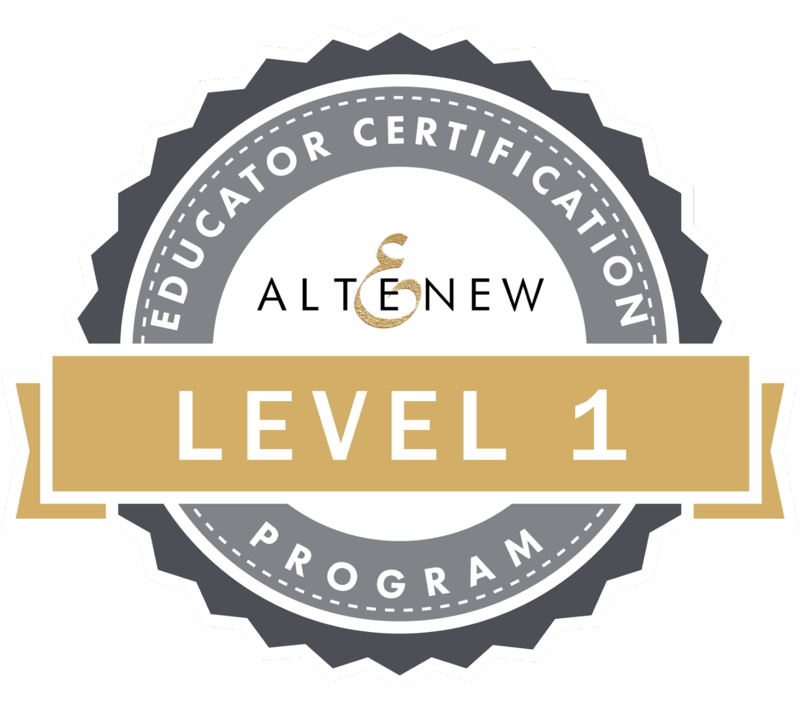 Hello again my craftin friends! 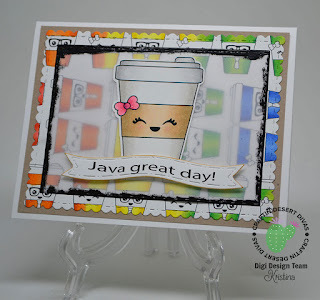 I'm back again with another coffee themed card for the current Craftin Desert Diva's digi challenge on the CDD Gallery FB group! I just simply can't get enough coffee. The stamp I used is just too cute! 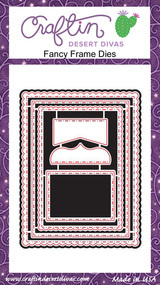 I started with a white card base and next I cut a simple rectangle layer out of the kraft. 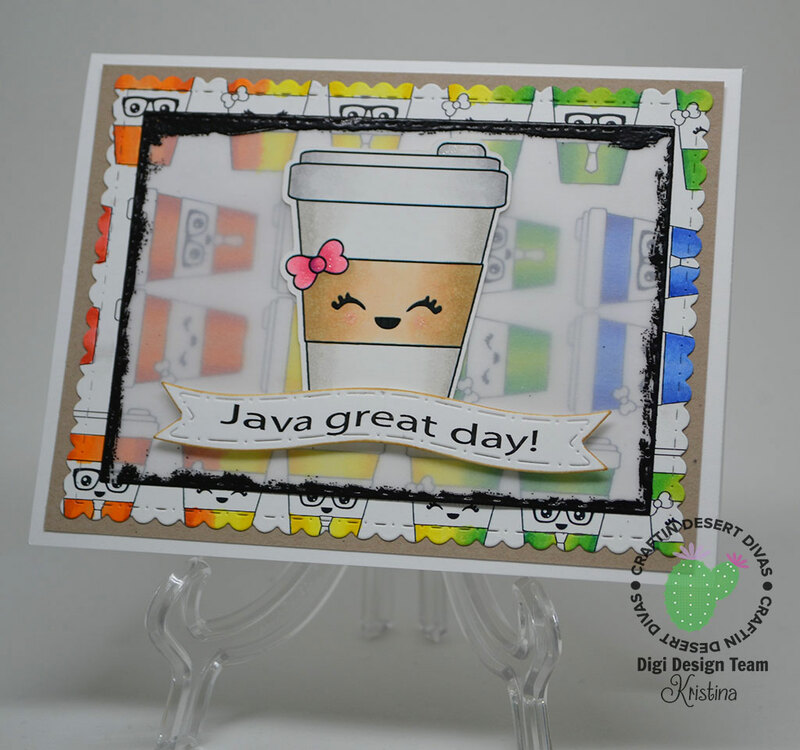 The rainbow colored coffee cup layer was cut using the largest of the dies from the Fancy Frames set. I created the background by resizing and rotating the images. Then I colored them up. Did I mention they are pretty small? So the coloring took quite a while. I then used the second largest die from Fancy Frames to cut out the heavy vellum layer. I used some Versamark ink around the edges, tossed on some black embossing powder and heated it up. I didn't want my colored layer to get lost after all that work! I chose to use the girl image because I just love her little bow! I even got to use my Brother Scan & Cut to cut her out. Totally worked like a charm. I had so much fun that I cut out a whole sheet of coffee cups. I see more coffee cards in my future. I came up with my own sentiment and printed it out. 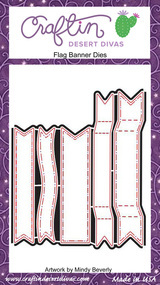 I then used the curvy die from the Flag Banner dies set. I need to work on my Adobe Illustrator skills a bit. I tried to curve the sentiment to match the flag banner. Whew! 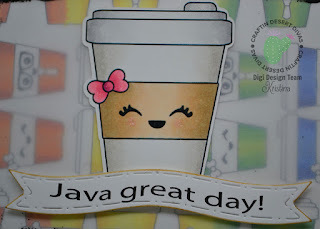 Be sure to check out the June Digi Stamp challenge on the Craftin Desert Divas Gallery FB page! 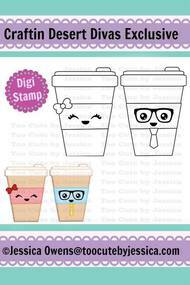 Everyone who participates gets a free digi stamp. That's awesome!! 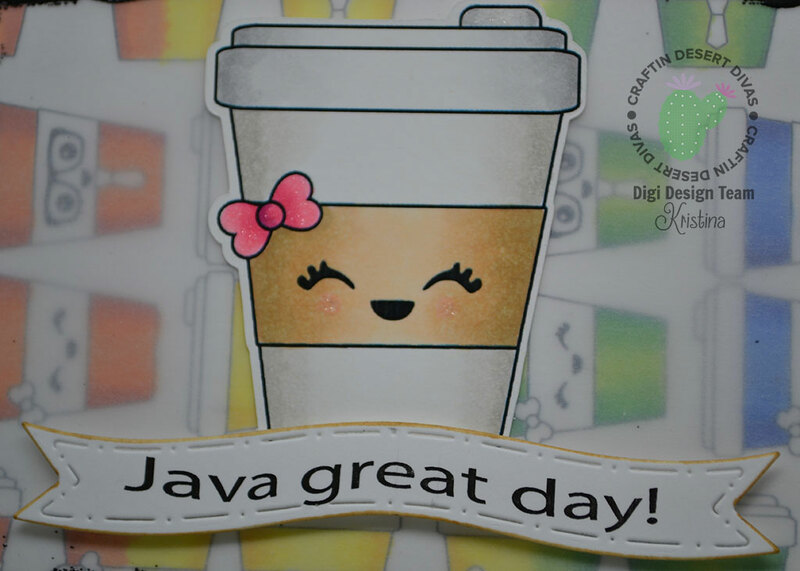 Digital stamps have so many options for creating!!! I'm learning more and more each day.